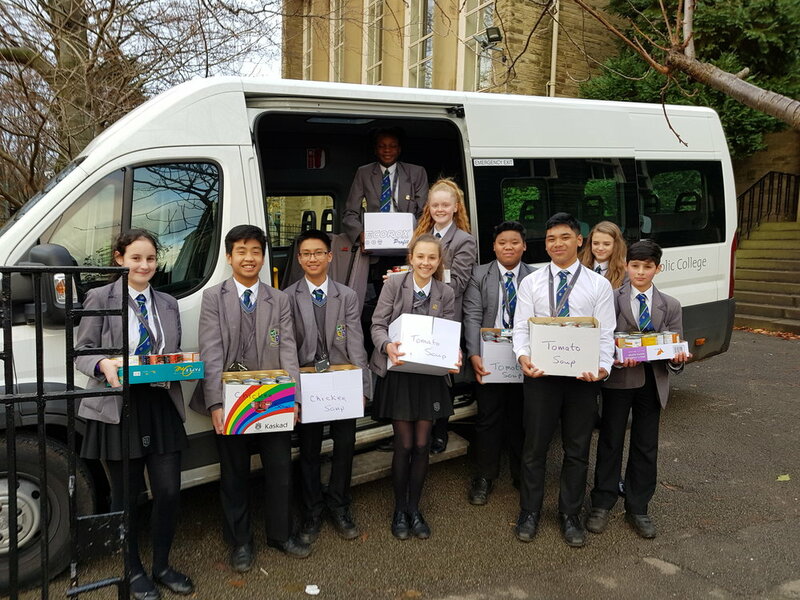 In the run up to Christmas students from SBSJ and St Benedict’s were busy helping others by collecting specific food items for some very important charities close to home as well as raising money for CAFOD. This year, our Food Appeal has resulted in the collection of over 750 items of food for local Charities. Thank you to all of the students, parents and staff who have donated food to our appeals. The donated food: Coffee, Tomato Soup, Chicken Soup, Tuna and Baked Beans was given to the Franciscan Friars of the Renewal for use in their Soup Kitchen. 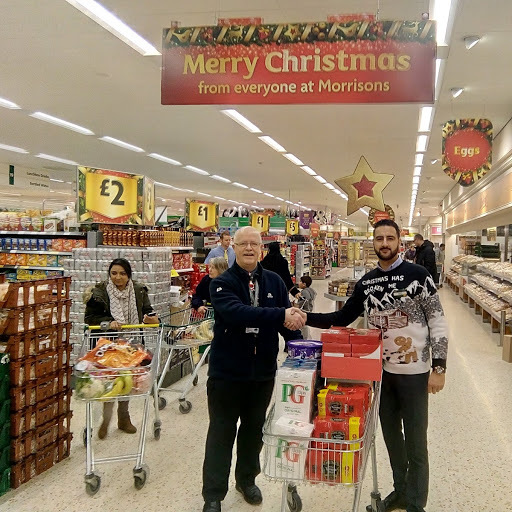 Whilst the Tea Bags, Cereals and Long Life Milk was taken to the Bradford Metropolitan Food Bank for distribution to needy Bradford Families. This year, our Advent Appeal was in aid of CAFOD; with each form group raising money to help those in need around the world - the items bought by the forms included Emergency Water and Emergency Shelters to help when disasters strike; Help for Refugee Children and Providing Passports to assist in the various refugee crises and helping to provide Solar Lighting to help CAFOD’s ‘Power to be’ campaign. .
We were asked in the final days before we finished if we could also support a local charity by making up some 'Hampers of Hope'. These were to contain food items and small toys. As always our students delivered and many hampers were passed on to Catholic Care to make a big difference to some people’s lives at Christmas. The school mini bus was loaded and Mr Walker along with Dominic Jesionowski and Liam North collected and delivered a car boot full of festive goods donated by Wm. Morrison's Supermarket at Girlington. Mr Walker collected the produce from Mr Daniel Fiddler the store manager and took the goods straight to St. Pio Friary, Sedgefield Terrace where they were received by a very grateful Friar. The food will be consumed by some of the 120 homeless men and women that the Friars support throughout the year. On Thursday 21 December, more than a dozen St Benedict’s students gave up their opportunity to shop or to party and instead came to help look after the people who were queueing for their Christmas Dinner at the St Pio Friary. 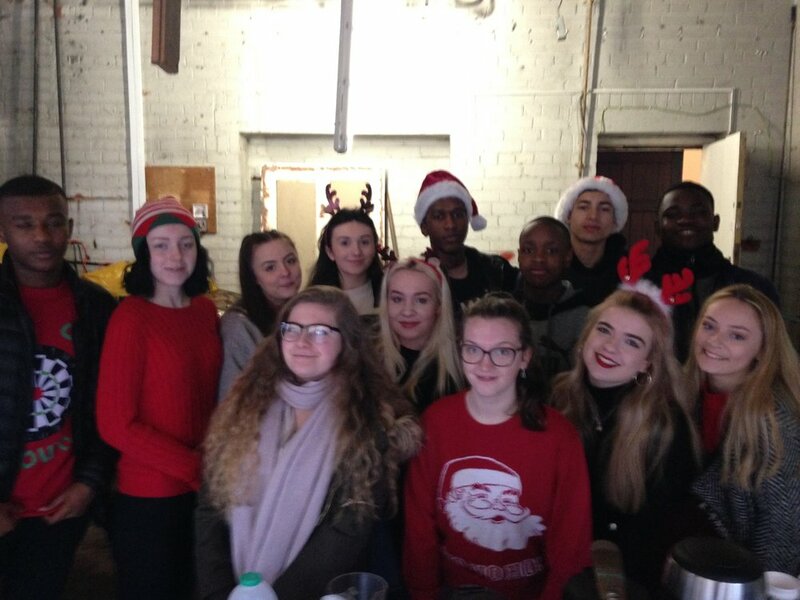 On a cold morning our students reached out to those in need serving hot drinks and bringing a bit of festive cheer to those who would otherwise have been in the cold. These students were a credit to themselves and to our school. 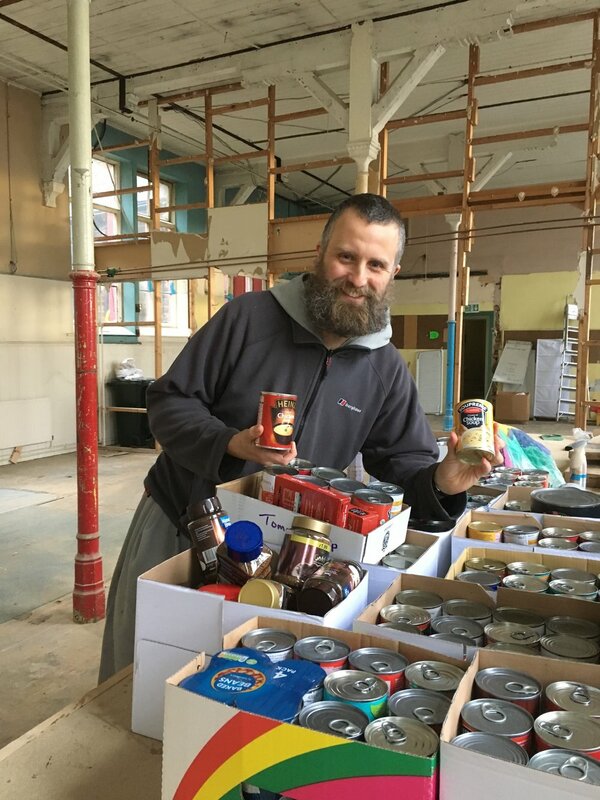 Dear pupils, staff and supporters of St Bede’s and St Joseph’s Catholic College, I am writing on behalf of Bradford Metropolitan Food Bank to thank your schools very much indeed for the collection you recently brought to the Food Bank. It really was an impressive amount of food and we would like to thank each and every one of you for being so generous. In September 2017 we gave out 983 food bags to vulnerable families in need and 937 bags in October. Unfortunately we only expect the situation to worsen as Universal Credit is rolled out which is why donations such as yours are so vital to our operation. Our team of volunteers (we don’t have any paid members of staff) ensure that the food bags are only given out to professionals working with those in need to make sure they get to those who truly need our support. 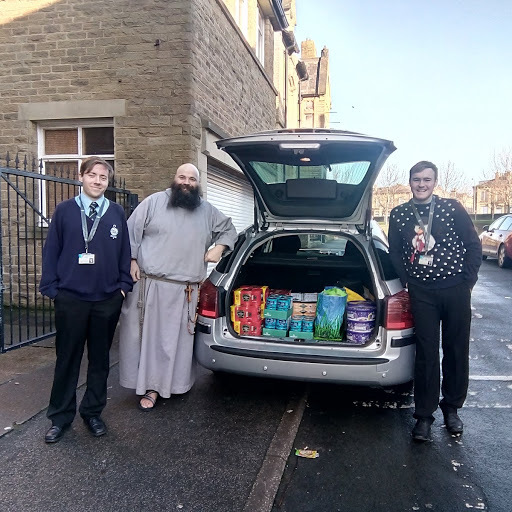 It is such a sad situation to think that so many families living across Bradford in this day and age literally do not have any food to eat, although it is heartening that the young people of St Bede’s and St Joseph’s college seem to have taken this to heart and clearly put a lot of effort into helping others. Thank you so much for your on-going support – it is truly valued.